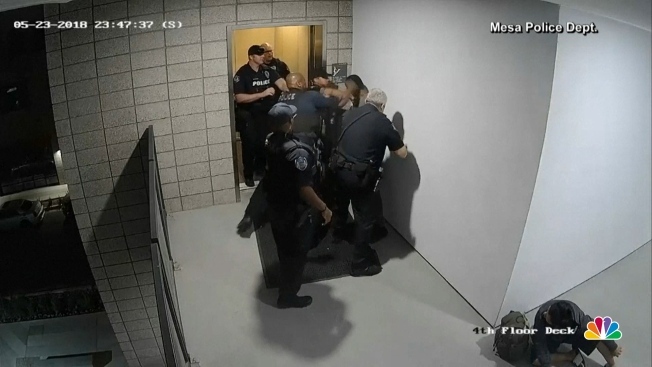 The FBI will look into whether Mesa, Arizona, police violated a man's civil rights when they punched him while responding to a complaint about another man, whose arrest is also under review, NBC News reported. Surveillance video shows police punching Robert Johnson on May 23, while responding to a domestic disturbance report. He was arrested — police said he refused a request to sit down — but charges were later dropped at prosecutors' request. Another police department this week determined that officers' use of force was justified. Johnson's attorney called it a case of police brutality and said he was pleased the FBI was looking into it.